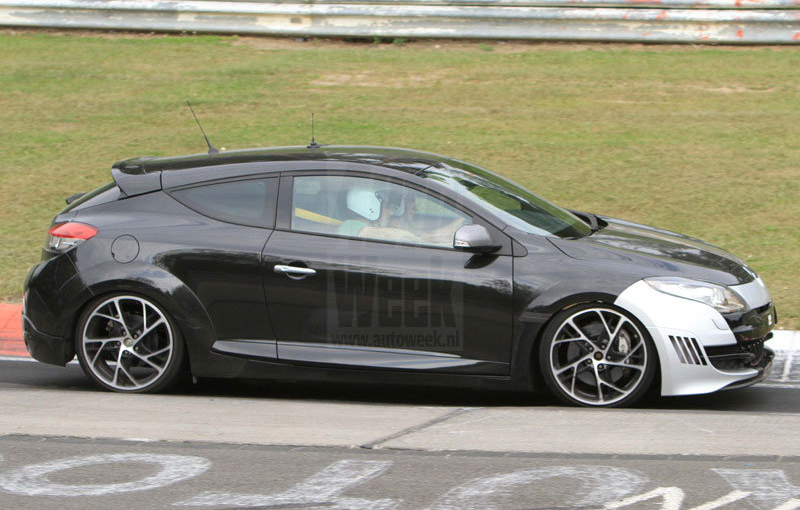 Here we have the first images with a more sporty version of the Renault Megane RS tested on the Nurburgring circuit in Germany. 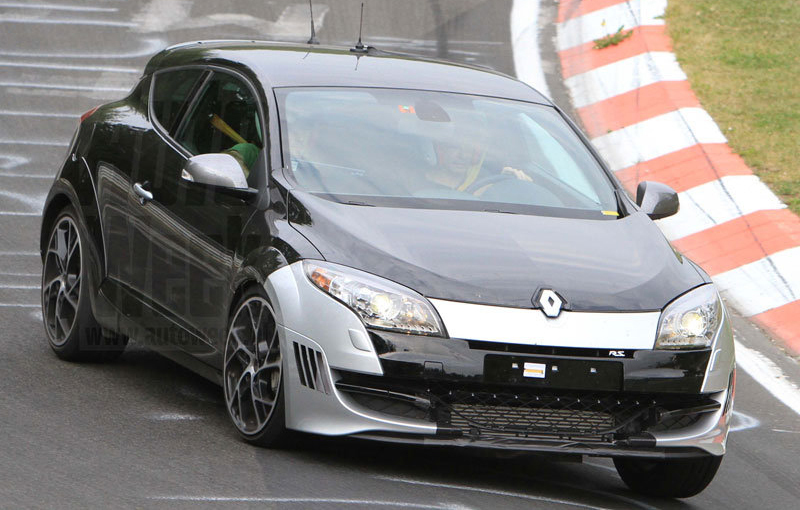 French engineers from Renault are testing at the Nurburgring circuit a performance version of its Megane RS. The model was caught while wearing a modified frontal mask and a completely different front bar. The wheels used are also new in Renault’s range. We managed to get the first images of the French model during testing. 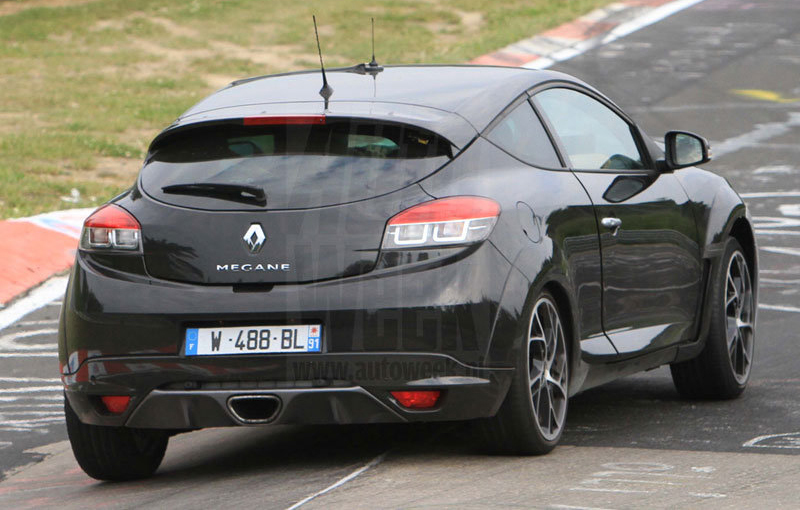 Besides the Cup chassis – which was offered also on the current version of Renault Megane RS, the model in the photos benefits probably from some different suspension settings. There is a possibility that the model may be more performance oriented than the Megane RS with the Cup chassis, so we talk about a very firm suspension and even a more efficient brake system.